Modern Mom at How to Survive Life in the Suburbs passed on to me 'Joy of Reading Award' last Sunday. I love to read her site! I'm passing this award on to you! All of you!!! Please, please grab it and pass on to people you wanted to share with.. I am looking forward to see your comments.. What are you reading right now? Turn the page 161, find the 5th sentence!!! He he..Oh come on, it's Sunday! Being a mom is the hardest job! Every mom needs one hour out for herself, right? 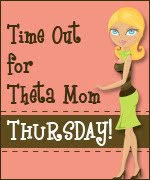 "Time Our for Theta Mom Thursday" was created by Theta Mom last week. Digging my feet into hot sand, drinking my large size iced- mocha, watching ocean and listening the waves rolling in...It was havenly! When I got back home I was smiling. All night, couldn't stop smiling. I was feeling like a bird! Thank you Theta Mom for this great idea! I can't wait to read how the other moms spent their hours out! In a bowl beat the eggs. Add cheese, pepper and oregano. Spray a nonstick omelet pan. Pour a splash of milk into the eggs. The milk helps keep the eggs light and fluffy. Stir the eggs with a silicone spatula to begin to scramble them. If you want an all around "good for you" and you aren't terribly concerned with cholesterol, use the original. If you want extra protein, less fat, then use the beaters. Egg beaters has 6 grams of protein, 0 fat, 30 cals, and 0 cholesterol. They are great to use when you want an omelette or scrambled eggs. 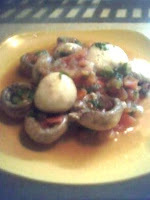 You may seperate the yolks and add only one egg yolk. One egg yolk has about 300 micrograms of choline. All I know is, it is an important nutrient that helps regulate the brain, nervous system, and cardiovascular system. I was lazy today:) My son wanted me to spend more time with him. So we had a good time together. Crafts, monopoly, biking, reading, art... I didn't think of anything else..just enjoyed to be with him. If he is happy, I'm happy too! I've two new awards from two wonderful friends. This beautiful award from Clueless_Mama at Guessing all the Way . One lovely lady, great follower and friend! You will find great giveaways on her site I'm sure you will love to join! Right now, you have a chance to win a beautiful picture frame! Allchildrenfurniture.com picture frame giveaway! You don't want to miss this one! Thank you so much Twinsoul888! It means a lot to me! Beauty...Fashion...Product Reviews...Soul Mates... Twin Flames or Twin Souls...Karma...Reincarnation or Past Lives, Meditation..Food...Travel..Motherhood and more..
An interesting blog to see ! *Vicki at Frugul Mom Knows Best! P.S Please don't eat this! In a large bowl, combine sugar, oil, milk and eggs. Beat in bananas. Add remaning dry ingredients. Bake in 350 degrees in a greased, floured 9x13 inch pan. This is the first time I used whole wheat flour instead all purpose for this recipe. We loved it! Aria asked me to make a banana bread yesterday. So I noticed, haven't shared this with you guys yet! I was in hurry and saved some of it in a container to take a picture later. After the breakfast I took Aria to the water park which is very close to home. He loves this place. My hubby didn't join us. He had things to do. Whatever, everybody was happy! When we got back home, grabbed the camera, walked in to the kitchen. My hubby ate it all!!! I left a message about a few things but forgot to tell him not to eat it. 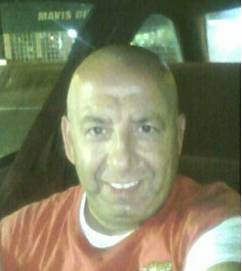 So I decided to put his picture instead. Isn't it a good idea? This is my guy! Love him. He is a good friend. And good friend is hard to find! Vicki at Frugal mom knows Best! created this wonderful meme. No rules or expectations, just the hope that you will pass this on, to however many people you want. The hope that we all have at least one nice thing to say to at least one person. As she said, one genuine, nice thing that might make them smile. Or even maybe something to thank them for. 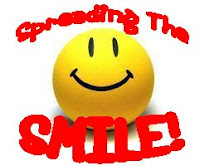 Let's spread the smile to as many faces as possible. *Natalee at Raising Normal Kids : She is fun! Very friendly. I hope having a great time! *Momma Such at Raising My 4 Sons: She is such a wonderful friend! Very kindly! Love her adventures with her 4 boys. If you are nursing, visit her site. FREE Nursing Cover Giveaway!!! Ends August 24. * Whitney Donohue at Mreow! I read her last post this morning. Thank you guys!!! Love you all!!! My hubby doesn't cook but he loves food and loves chicken ;) So I noticed that he really interested this recipe. I was talking to my friend Eileen yesterday. This recipe idea came from her. Olive oil, basil, garlic,salt and a pinch of cayenne. Get a can openner. Open up the top of the can and drop in the crushed garlic. Oil up the can. The beer can goes into the chicken's body cavity. Cover your grill and cook the chicken. Great with garlic and potatoes!!! 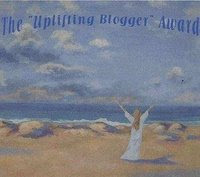 I received another award :) The Uplifting Blogger Award! I'd like to thank Pink Note at Pink Notes Diary. I really and truely appriciate it. 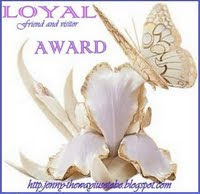 The Uplifting Blogger Award is given to person who uplift the being of the readers of thier bogs. There's no specific instructions for this award. You can give this to anyone you think is a real uplifting blogger. 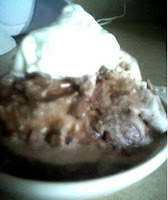 * Vicki at Frugal Mom knows Best! Vicki at Frugal Mom knows Best! have a great giveaway. A fantastic book, called Baby Bargains by Denise and Alan Fields. Haven't you visited her site yet? Twinsoul888 at Beauty Inside And Out tagged me. A picture tag. Yay!!! It 's fun! ►Scroll down to the 10th photo. ►Post that photo and story on your blog. He was 2 years old. Watching monkeys on TV. Monkeys were singing.
" 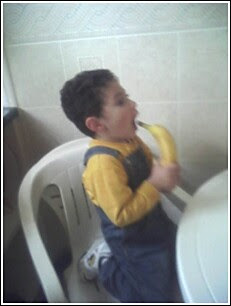 Banana can be microphone, microphone a microphone.."
He used to love this show. I don't remember what was the show's name but probably on channel 31. Oh gosh, I miss those days! Proceeding to the Picture Tagging. I’m tagging 4 beutiful ladies. It’s their time to share their pretty pictures. Come on ladies! I'm so excited to see your beautiful pictures ! Just because he loves sharing!!! I heard about a new fun thing. 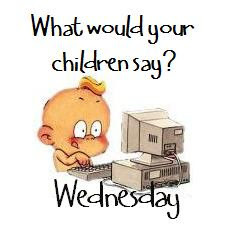 It's called 'what would your child do' If you would like to participate, visit Marianne's blog, Family American Style. Kids are amazing and full of surprises. It is a great idea to share our family fun stories, unforgettable memories each other. 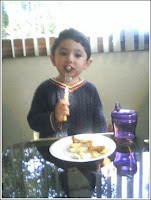 Our son, Aria was 2 years old. He was in living room and playing with our doggie, Carmen. If you are just started to follow maybe you don't know. She passed away one year ago. Sometimes I hear her voice just like she is here. We all miss her a lot! So, I was in the kitchen and heard a noise coming from livingroom. Aria was screaming, laughing and Carmen was angry, barking loudly. Actually she was a very quiet girl. I had never seen her before like that. When I walked in to the room, Aria was on top of her and trying to put his own pacifier into her mouth :) He was having a lot of fun, but not poor Carmen! Today when I told him he said ' oh, poor Carmen, I 'm so sorry girl! He was looking into the sky while he was saying that! Yeah, we do this sometimes. Talk to her just like she is still here, with us! 3) Write a post about the award and there you'll link the person who gave the award to you and those people who you'd like to pass the award. 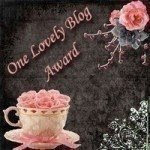 The rules are“This award is for anyone who likes to smile or laugh, and just generally spreads that along in this blogging world we all travel in. Isn't it amazing? 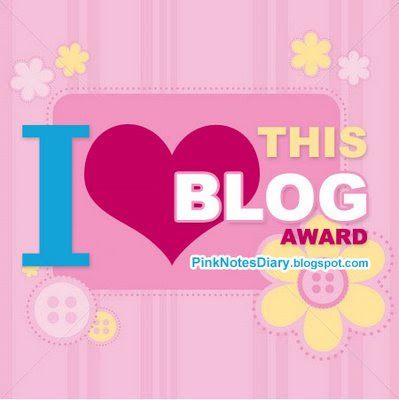 The Humane Award honors certain bloggers that I feel are kindhearted individuals. They regularly take part in my blog and always leave the sweetest comments. If it wasn’t for them, my site would just be an ordinary blog. Thanks again all these great awards Veronica Lee! 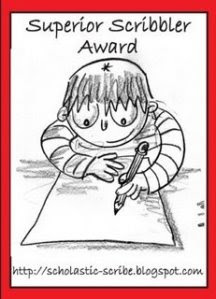 And now, I'd like to share these lovely awards with all of my followers. All of you! Just like Veronica did. Please take them and pass onto people you wanted to share.